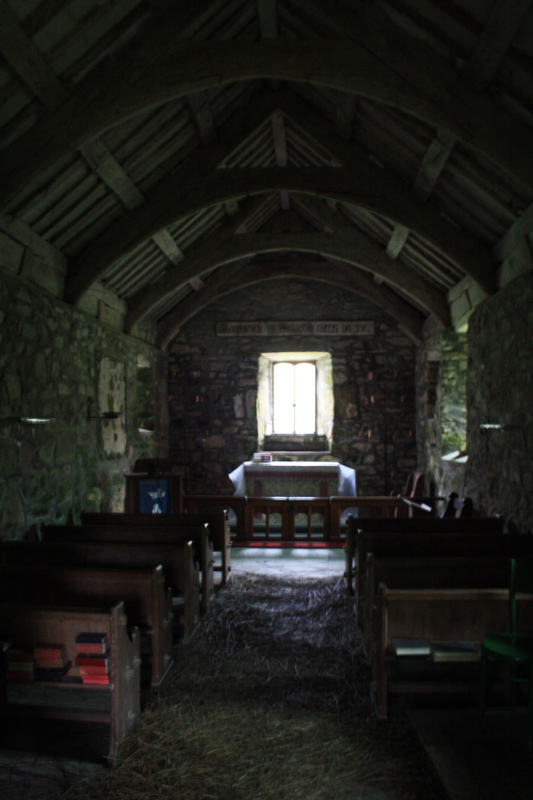 The Church of St Beuno at Pistyll lies hidden and almost forgotten just a stone’s throw from the B4417 where cars speed past to Nefyn and beyond. A faded sign still points the way, but it is overshadowed by a newer and much larger sign advertising some nearby holiday homes. 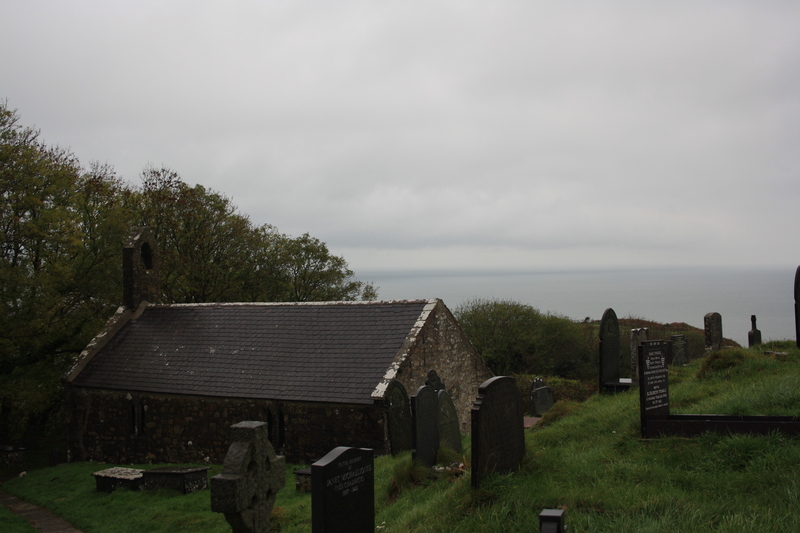 Those who do manage to find this side road are confronted with a Delightful historic church standing beside the sea, some portions of it the remaining windowless 12th century walls, though the church was extended eastwards in the 15th century obviously occasionally restored since then. Still, the church remains today without electricity, the occasional summer Sunday services still held being lit by the remains of large candles on holders mounted along the walls. 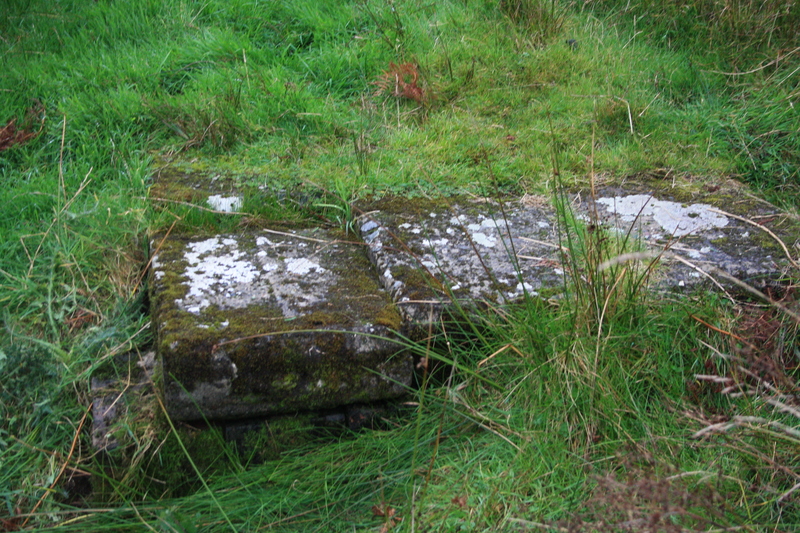 The church maintains the medieval tradition of spreading rushes as a covering on the stone floor. Just as the drivers of today, The pilgrims of the past too may have been anxious to get on with the comforts of the monastery at Nefyn and even their final destination at the the tip of the Llŷn now beckoning; but they would have welcomed the relief provided by the monks at Pistyll, where a small hospice developed, after the climb over Bwlch Yr Eifl from Clynnog and Llanaelhaearn. The well too, seems now to be an afterthought, hardly worth stopping at for the modern traveller after the splendour of that beside Beuno’s previous church at Clynnog. Someone has thoughtfully placed a sign before it,to confirm a name, although for the unknowing passer by it provides nothing to give any clue as to what it was or how it was used. 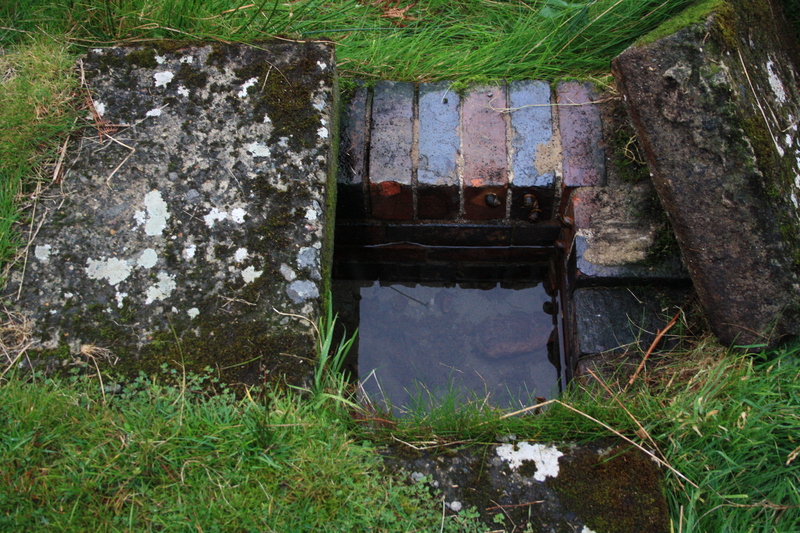 The well itself is a modern structure, built of brick with heavy stone slabs across the top, half covered by grass. Inside the brick tank, which seems to measure around 3 feet square the water remains clean and clear. Sadly, just as any original well structure has vanished, so too have the legends and powers of the spring. Even the name could be considered to be in doubt. 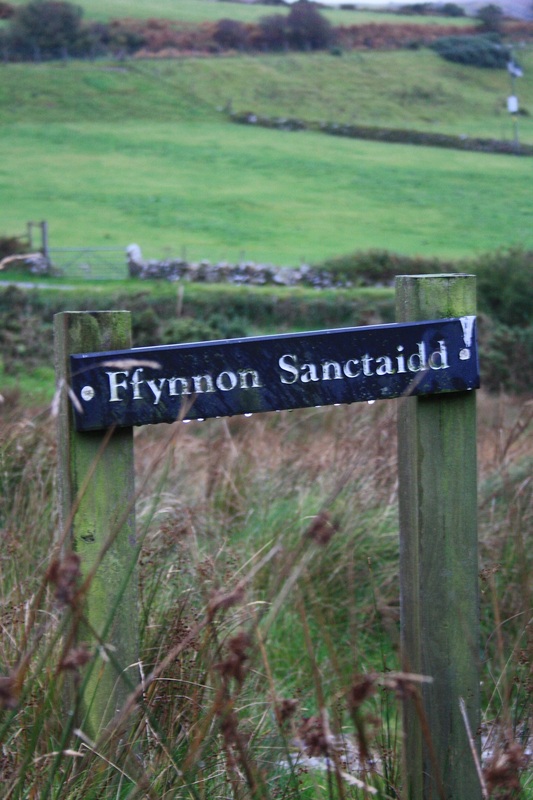 The signboard and the historical records refer to it merely as Ffynnon Sanctaidd- Holy Well, although some reports have referred to it as Ffynnon Beuno – which makes some kind of sense, or Ffynnon Beris, which seems to make little sense at all. All seem to agree though that this was an important well on the old pilgrimage trail, without ever being quite sure why. On a hot summers day it is probably a location to visit, to see church and well and then to walk the coastal path towards Nefyn or Nant Gwytheyrn , on a wet day in October it is a place to stops at briefly, to tick off on the list, and to wonder what, if anything, has been lost here both on the ground and from memory.